In this Jan. 18, 2018, file photo, former Massey CEO Don Blankenship speaks during a town hall in Logan, W.Va. Blankenship lost the GOP primary but is threatening to challenge state election law to get on the ballot as a Constitution Party candidate. In a letter sent to Blankenship, Secretary of State Mac Warner and his office rejected Blankenship’s filing, which was completed Tuesday. Blankenship has argued that two new subsections of the “sore loser” law are unconstitutional in that it does not provide equal access and did not go into effect until after the state’s May primary -- effectively making that aspect of the law retroactive. Those subsections, effective June 5, 2018, clarified that a failed candidate on a ballot-qualified party cannot run in the general election for non-ballot qualified party. Blankenship campaign representative Greg Thomas said Thursday they would fight the election law in court. 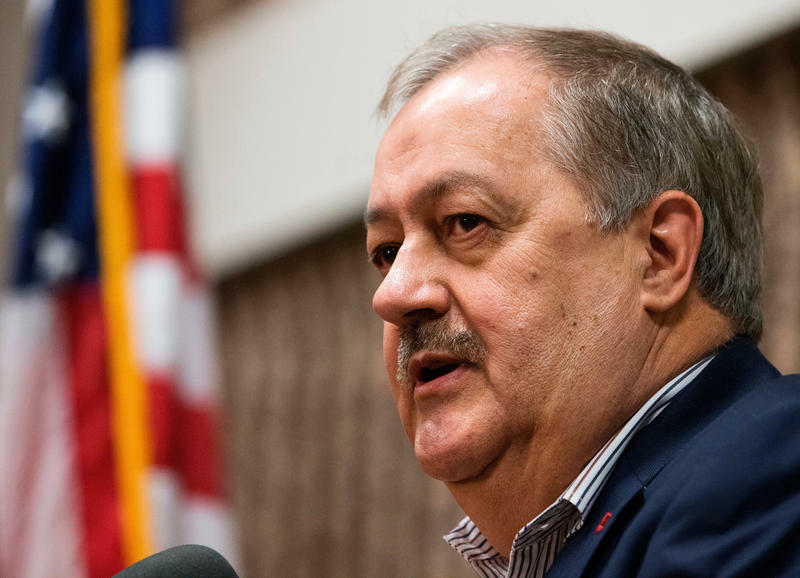 The Secretary of State’s office also notified Blankenship that of the 11,468 total signatures his campaign gathered as part of the certificate-nomination process, approximately 7,100 are presumed to be valid. Blankenship finished third in the GOP’s U.S. Senate primary, losing to Attorney General Patrick Morrisey. As the state’s chief legal counsel, Morrisey has recused himself from the looming battle over the “sore loser” law -- with the Secretary of State’s office hiring outside counsel.